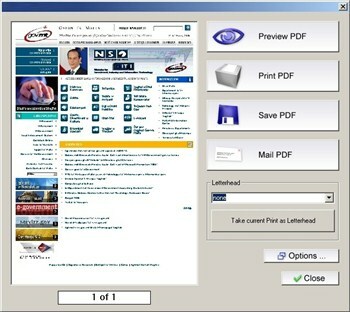 • Creates vector based, high resolution PDF Documents. • 40 Bit and 128 Bit encryption supported. Using Aloaha you can sign and time-stamp PDF documents for long-term validation purposes (e.g. over 7 years in case of many financial applications or 30 years in case of SigG). Aloaha is unique in supporting advanced digital signatures which include embedded RFC 3161 compliant secure timestamps. Such signatures can be verified even after the signer's certificate expires or is revoked. • PDF-Signature Interchange Standard compatible. • Counter-Sign already Adobe.PPKMS signed documents. Aloaha PDF files have more features to enhance usability than PDF files created from non-Aloaha applications — embedded fonts, color profile information for more accurate color rendition across different systems, as well as tags in the document that reflow the pages for different screen displays. • No Special Printer Driver or PDF Printer Driver needed. 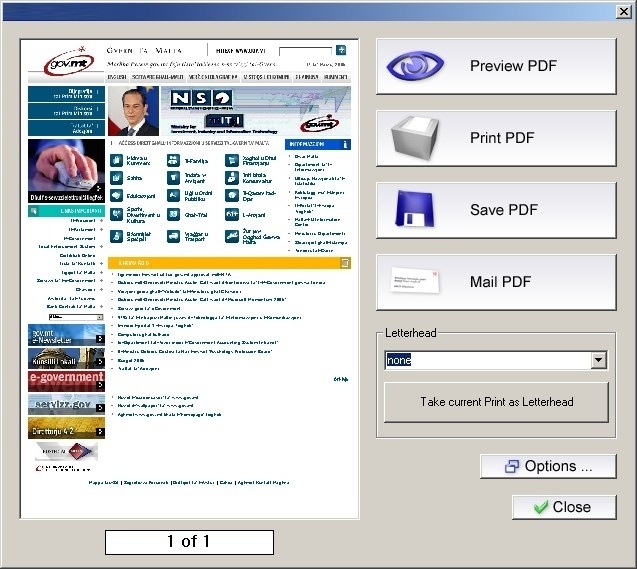 • Archives all your printouts to a public folder, directory or mailbox. • Attach PDFs to email after creation! • Active Directory User lookups to email back the document to the creator in server mode. • Share documents with anyone. Anyone can open PDF documents on any system — regardless of the software platform, the original application, or the availability of specific fonts — using free Adobe Reader® software. • Automatic Imposition of Stationery and Letterhead. • Watermarking/Letterhead and Stationary included. • Allows you to monitor and view your printer queue/s. • Preserve the look and integrity of your original documents. • Automatic text summarization of PDF documents. • PDF Editor included. Ideal for document workflow. • No Adobe Acrobat or PDF libraries needed!